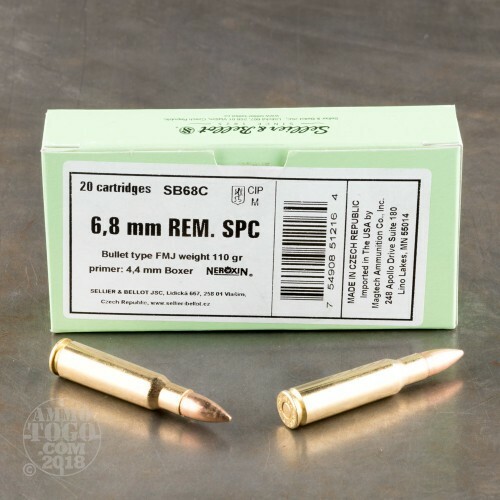 Whether you've got an original Barrett REC7 in the safe or a custom AR build chambered in 6.8mm SPC gathering dust, this bulk case from Sellier & Bellot will help you get out to the range and get your barrel smoking once again. Sellier & Bellot is a Czech company with a staggering track record that dates back to 1825. 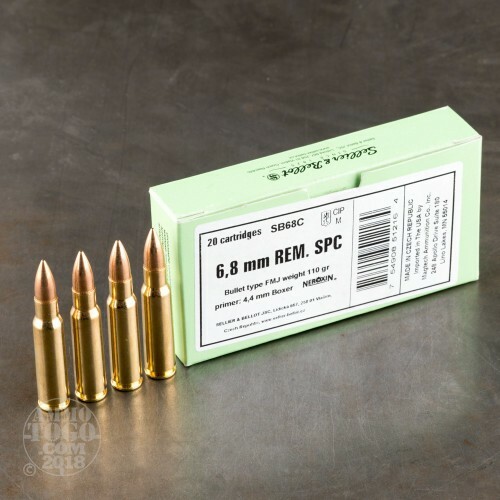 During this time, they've built an excellent reputation for reliable ammunition and consistent component quality. Their position under the Brazilian CBC group further enhances their capability by giving them a better understanding of the international market, especially as it pertains to American shooters. 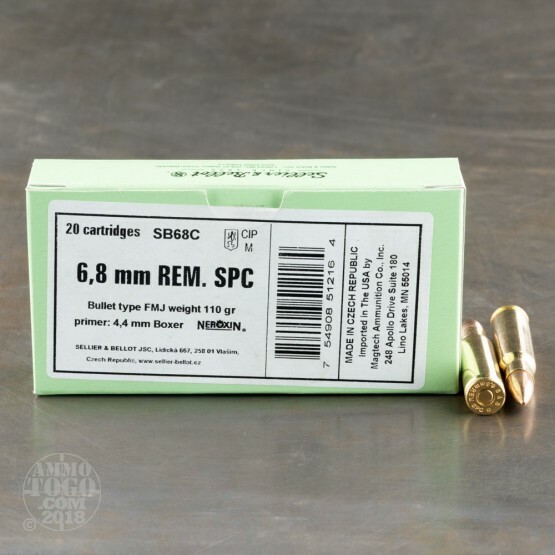 This 1000-round case breaks down into fifty 20-round boxes for convenient storage and range travel. Each cartridge is outfitted with a 110-grain full metal jacket (FMJ) projectile that matches the weight profile of the caliber's most popular choices for hunting, precision, and tactical use. This allows shooters to accustom themselves to recoil and bullet drop during drills and while sighting in new irons or optics. 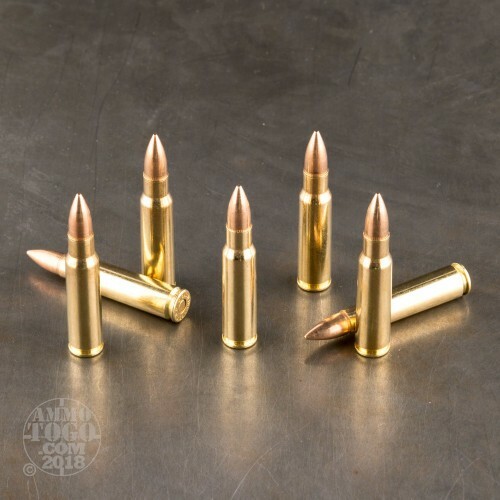 The FMJ bullet uses a ribbed cannelure as its crimp point which keeps it from rocking or being pushed back throughout recoil and repeated chamberings; this helps mitigate accuracy loss and chamber overpressure. Attached to the bullet is a reloadable brass casing that has a non-corrosive Boxer primer implanted at its bottom.